DEFOREST, Wis. — Hope for the future brought more than 130 farmers, community members and agribusiness professionals together recently to discuss results from the latest research conducted on participating farms and how urban and rural citizens are impacting the Yahara watershed. Future goals and aspirations formed the core of the Yahara Pride Farms Watershed-wide Conference on March 7 in DeForest. Yahara Pride Farms (YPF) is a farmer-led non-profit organization working to improve soil and water quality. The group strives to help advance new ideas and technology that balance water quality improvement with farm sustainability and profitability. 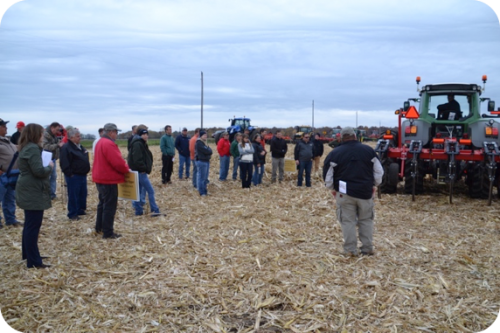 Yahara Pride Farms hosted two Twilight meetings this past August: The first in the southern part of the Yahara watershed at Badgerland Grain Farm in Evansville, and the second in the northern part of the watershed at Henry Farms in Dane. Both Badgerland Grain Farm and Henry Farms have completed the YPF certification program which helps farmers document how their farm protects soil and water quality and identify high-risk situations and practices that need to be modified. 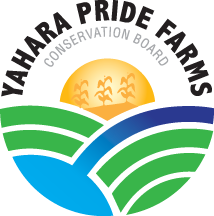 Yahara Pride Farms has just released its 2017 Annual Report that documents information and research on the reductions in phosphorus delivered to nearby surface waters by farmers in the Yahara watershed in 2017. YPF has measured on-farm results for five years, and this is the second year that an annual report has been compiled to share program outcomes with the public. MADISON, Wis. (April 10, 2018) — Yahara Pride Farms was recently honored with the Conservation and Environment award from the Kiwanis Club of Downtown Madison, the farmer-led conservation group announced today. Board members Jeff Endres and Scott Maier, both dairy farmers from Waunakee, accepted the award on behalf of Yahara Pride Farms. The Kiwanis Club of Downtown Madison is a service club with a membership of around 80 men and women. The group was founded in 1917 as one of the first Kiwanis Clubs in the State of Wisconsin. 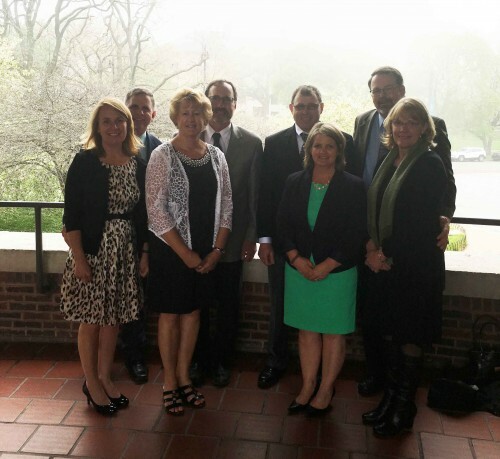 They are one of approximately 8,000 Kiwanis Clubs worldwide. DEFOREST, Wis. (March 9, 2018) — More than 125 farmers, community members and agribusiness professionals came together recently to celebrate conservation accomplishments and future projects. 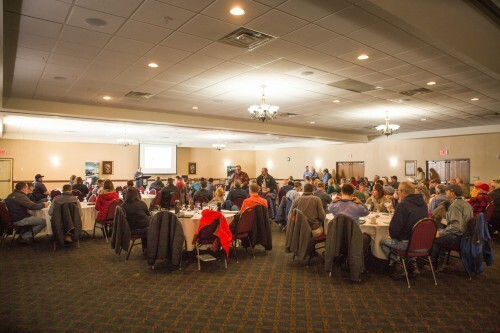 “Building on success” formed the core of the Yahara Pride Farms Watershed-wide Conference on March 7. Yahara Pride Farms (YPF) is a farmer-led non-profit organization working to improve soil and water quality. The group strives to help advance new ideas and technology that balance water quality improvement with farm sustainability and profitability. Several speakers covered topics that affect all farmers such as staying focused in challenging agricultural times, cover crop usage and the future of the organization. BROOKLYN, Wis (Aug. 7, 2017) – Yahara Pride Farms (YPF) has just released its 2016 Annual Report that documents information and research on the reductions in phosphorus delivered to nearby surface waters by farmers in the Yahara watershed in 2016. YPF has measured on-farm results for four years, but this is the first year that an annual report has been compiled to share program outcomes with the public. Aided in part by cost-share dollars, farmers have made changes to their farming practices that have resulted in more that 27,000 pounds of documented phosphorus remaining on the land and thus not entering surface water since the group began in 2012. DeForest, WI (March 7, 2017) – Yahara Pride Farms held its annual watershed-wide conference on March 2 to share information and research on the different steps being taken to decrease the amount of phosphorus in the Yahara watershed and to celebrate the groups’ successes. Waunakee, WI. (August 22, 2016) — On August 16, Yahara Pride Farms welcomed more than 100 guests to the annual Ag Innovation Field Day event. New this year, the Ag Innovation Day was open to farmers, agribusinesses and the general public from across the state. In year’s past, the event was designated for farmers in the Yahara Watershed, but organizer’s wanted to expand the reach of the programs and practices that are applicable to a wide audience. The day kicked off with lunch, followed by several hours of field demonstrations. Manure was a central topic of the day and attendees had the chance to see dragline and tanker methods of applying manure using Low Disturbance Manure Injection techniques. The group had the opportunity to tour the newly built manure composting facility at Endres Berryridge Farms and learn the science behind the process and the equipment needed to successfully compost manure. Attendees also had the chance to see finished compost applied to a field. The final stop included a detailed cover crop planting demonstration where attendees had the chance to see eight different pieces of equipment plant a Barley-Pea mix on a recently harvested wheat field. Yahara Pride Farms is excited to announce the annual Ag Innovation Field Day scheduled for August 16. This program showcases innovations in sustainable agriculture in the Yahara Watershed which includes southern Columbia County, Dane County and northern Rock County. Featured techniques are applicable to farms across the state with similar conservation goals. Yahara Pride Farms developed a certification program where farms undergo an extensive voluntary audit process and achieve a specific passing score. In all cases, farms are provided with prioritized feedback on current conservation practices as well as areas for improvement. Yahara Pride Farms has engaged the community, public utilities, environmental groups and agribusiness through a holistic approach to conservation where everyone shares in the successes and areas for learning. In 2015, farmers in the program reduced phosphorus delivery to Madison lakes and the Yahara river by 8,642 lbs. Since 2012, farmers have documented a total phosphorus delivery reduction of 15,872 lbs. Farmers from across the state are encouraged to attend this event. There will also be a specific track for members of the community and media who wish to learn more about sustainable agriculture in the Yahara Watershed and beyond. The event is free and all are welcome to attend the lunch and tours as well as the dinner and program at the end of the day. Sponsorships are also available for qualifying agribusiness partners. Go to yaharapridefarms.org for the complete schedule (including field demonstration topics) and availability. Online RSVP is required.